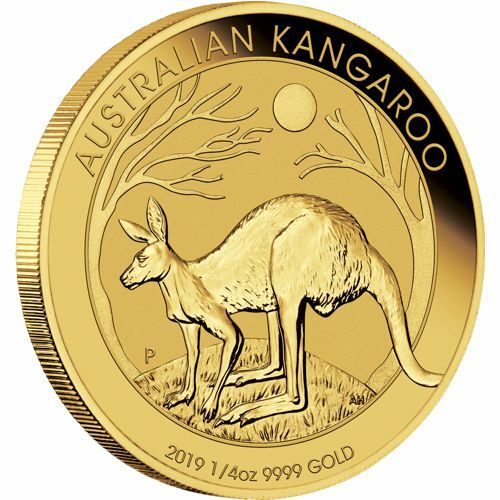 The Australian Gold Kangaroo (Nugget) bullion coin is one of The Perth Mint's most popular coins. 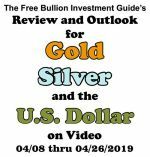 When the Gold Nugget / Kangaroo bullion coin was originally released in 1987, the reverse side of each individually sized coin had a design to itself of a Gold Nugget found in Australia. 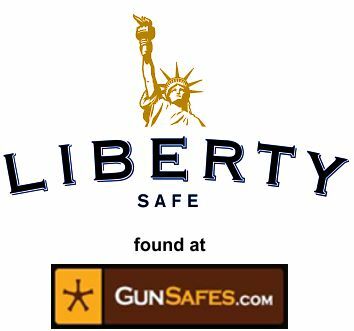 For instance, the first three years that the 1/4 oz. 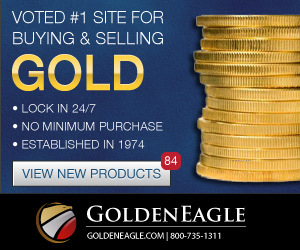 Gold Nugget Bullion coin was minted, the reverse side had the design of the "Golden Eagle" nugget, found in 1931. In 1990, the design on the reverse side of the gold bullion coin changed to the "Australian Kangaroo." In addition, unlike the 1 kilo. 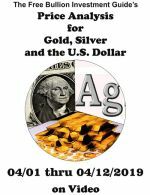 bullion coin, each year the 1oz. 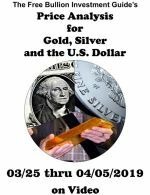 and fractionally sized gold bullion coins receive a new design of a Kangaroo. Ultimately, in 2008, the Perth Mint changed the bullion coin's name from "The Australian Nugget" to the "Australian Kangaroo." Due to the gold bullion coin's proof-like finish and its limited mintage figures, this bullion coin has the potential to appreciate beyond the value of its gold content. 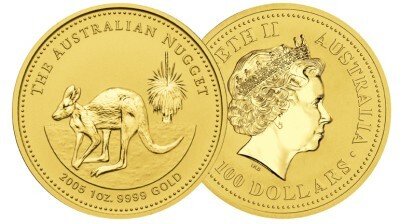 The obverse side of the Australian Gold Kangaroo (Nugget) bullion coin has the profile of Queen Elizabeth II. 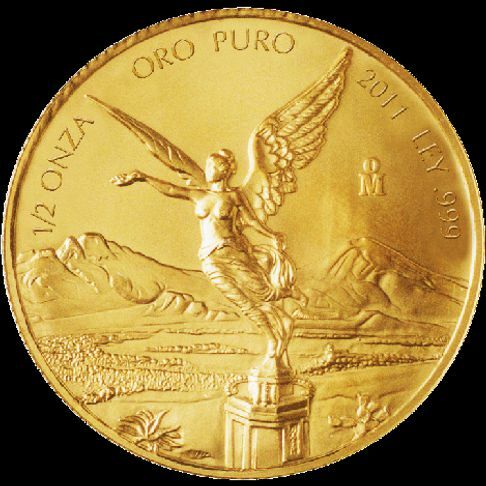 Her name "ELIZABETH II" is inscribed along the outer perimeter of the gold bullion coin. 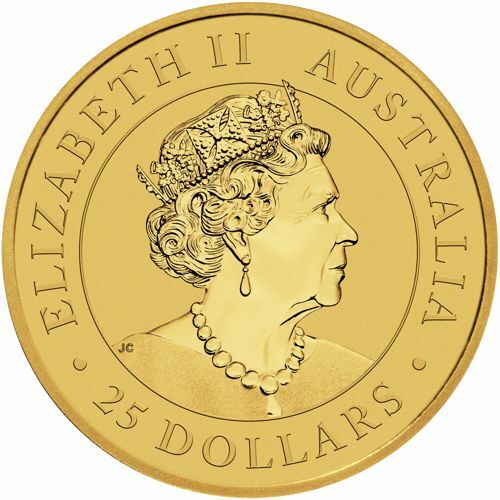 The 2019 Gold Kangaroo portrays a new profile of her Majesty Queen Elizabeth II, by designer Jody Clark, her initials "JC" can be found on the Queen's shoulder. 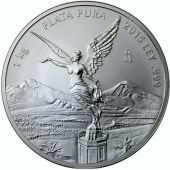 "AUSTRALIA" is displayed around the outer perimeter of the bullion coin. 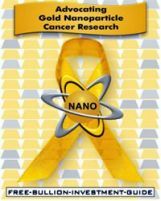 The 1/4 oz. 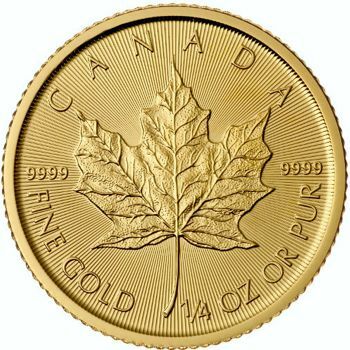 gold bullion coin's Face Value is "25 DOLLARS" this is inscribed along the bottom of the coin. The words "AUSTRALIAN KANGAROO" are inscribed across the top of the coin. 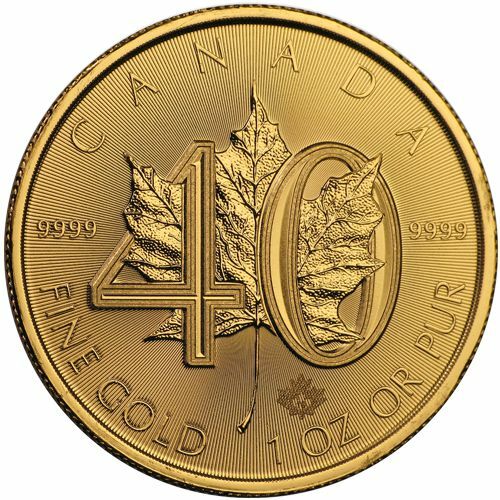 The reverse of 1/4 oz. 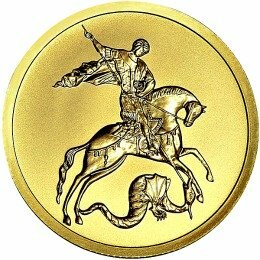 gold bullion coin portrays a kangaroo standing on a knoll around trees in the outback. Displayed along the bottom of the Australian Gold Kangaroo bullion coin is the bullion coin's Year of Issue, Weight of "1/4OZ," and the coin's purity of "9999 GOLD." 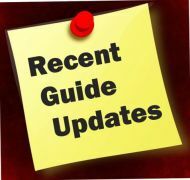 The 2019 Australian Gold Kangaroo bullion coin has the Mint Mark of "P" representing The Perth Mint, it is located below the head of the kangaroo. 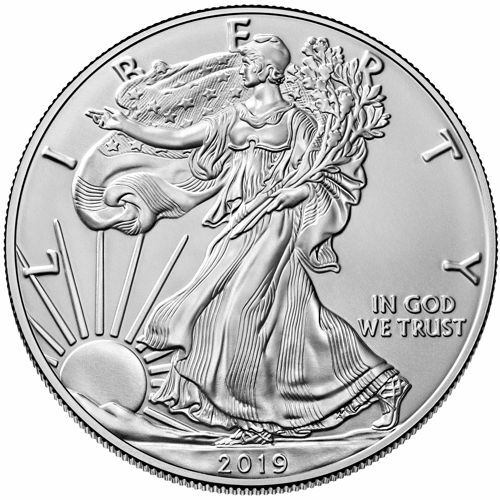 Lastly, directly below the tree, behind the kangaroo, are the initials 'AH,' they are the initials for the designer of the 2019 1/4 oz. Gold Kangaroo bullion coin's reverse side, Aleysha Howarth. 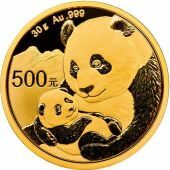 Note: The Australian Gold Kangaroo bullion coins are sometimes mistaken for The Australian Lunar Gold Bullion coins. Both coins are minted by The Perth Mint and have .9999 purity, but Lunar bullion coin uses images of different animals from the Chinese calendar each year instead of the kangaroo.